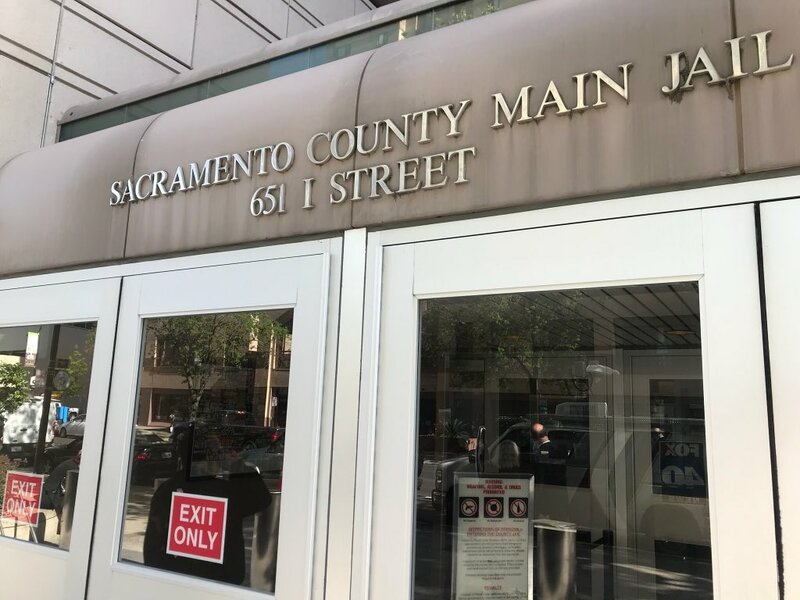 Data collected by the Board of State and Community Corrections and analyzed by Sacramento News and Review shows that Sacramento County’s aging jails are glutted with people who are presumed innocent. Through the first six months of this year, 58 percent of the approximately 1,800 people in county lockup on a daily basis had yet to be sentenced. That percentage has remained static for more than two years. People who are released without charges still spent an average of 32.5 days in jail, the review found. Those who had their cases dismissed in court averaged more than 39 days in custody. End of the line for Sac’s Riverfront Street Car ? The Trump administration isn’t keen on Public Transportation. The Federal Transit Administration (FTA) is not distributing money earmarked for public transit. Many projects in cities across the nation including Sacratomatoville are waiting for federal funding have hit Trumps Wall Nearly 2 billion dollars is on hold. Construction has already begun in some cities awaiting funding to complete the projects. The FTA says the reason the projects haven’t received funding is because they aren’t yet ready. The Transportation Department hasn’t set a specific date when the funds will be released. Many communities are hesitant to complain because it could result from in future delays. In 2015, the astute citizens of Sacramento rejected the ridiculous ( measure B ) 4.4mile street car line between West Sacramento and Midtown called the Riverfront Street Car Project. The 100 million dollar line duplicates existing bus routes operated by Yolo County and Regional Transit. One of the challenges for Sacramento and a few other cities is funding. Transit agencies have to round up funding for the rest of the project, get agreements with contractors and other third parties, develop cost estimates and prove that they can manage a project of its scope. Then the FTA reviews the projects and rates them. Projects must earn a “medium” rating to obtain funding. To qualify for Trump dollars, cities need to secure all of its non-federal funding first. Sacramento hasn’t, as a result the project is in jeopardy. According to Eye on Sacramento, The California Transportation Commission provided 25 million dollars and the 30 million dollar rejected by the voters? May come from the Cap and Trade funds. Where did the money come to work on the project, thus far? These desperate times for supporters of Downtown Riverfront Street Car Project. Failure to meet all the requirements could mean the end of the line. Last December, the group representing the Downtown Riverfront Street car requested for 3.5 million dollars in Proposition A1 funds from the cash strapped Sacramento Regional Transit District. Proposition 1A (High Speed Rail Act 2008) bond proceeds are to made available for capital projects on other passenger rail lines to provide connectivity to the high-speed train system and for capacity enhancements and safety improvements to those lines. RT’s Board of Directors denied the request. It would consider releasing the 3.5 million dollars after the Federal Transportation District approved the project. The issue for RT is if the street car financing isn’t nailed down, those fund may not be available for other projects. The Street Car project was an agenda item at last weeks RT meeting. A few days ago, I picked up a few friends from Boston and drove them from Airport to their downtown hotel. . This was their first visit to Sacramento. From the airport, I was peppered with questions about my city. They were in town to attend a workshop and worried about having options in the evenings. In the car, they were taking the in city, asking about undeveloped areas in Natomas near the Sleep Train Arena. In Boston, there aren’t any large undeveloped parcels. There were smiles, as we crossed over the American River looking downtown. “Ohh this is nice and bright” “What’s that?” pointing at Old Sac, more ooh’s. As we exited onto “J” street, the car became silent. I slowed down so they could see the Golden One Center and someone said, I see you have homeless here too. The car was silent as we arrived at the Sheraton. We’re having dinner tomorrow right? Yes. After dropping them off, I drove back to 3rd and J streets and looked at the area after dark as if it was my first time. J Street ,is the Gateway to downtown Sacramento. Everyday, thousands of people visiting Sacramento for the first time enter via J street. As you enter J street , to the right, there is the bright Holiday Inn, to the left was a closed (at 10pm ) resturant. Next to the Holiday Inn is the rear of Downtown Commons which is very dark. Across from it ,is The Pier Lounge which is bright. As you cross 5th Street, the brightest building is not the New Sawyer Hotel and Condominiums, its the new Kaiser Permanente building. From 6th to 7th Street everything is dark. On the left side of “J” street, between 7th and 8th there is a series of vacant buildings with homeless people sleeping in front of them and one Subway Resturant and a bail bondsman. Between 8th and 9th Streets is modern apartment building with a few closed restaurants. Across from it is an office building. 9th and 10th Cesar Chavez Park on the Left Side and on the Right side are a few closed businesses and on the corner of 10th is the Citizens Hotel. The block between 10th and the 11th Street is the worst block in Downtown Sacramento. With the exception of a Liquor Store across from the Citizens Hotel, every building on both sides of the street is vacant. Thing begin to get better beyond 12th Street near the Sheraton Hotel. The areas is bright, with restaurants and activity. With the exception of the crowds outside the 7/11 the area feels safe. For the first time since moving here, I saw the city through the eyes of a visitor. After a driving a few mostly vacant blocks on J Street, I’m not sure if I would want to continue. “J” is Sacramento’s welcome mat. It is the first thing visitors see off Interstate 5. It is the exit, drivers wanting a break from the road on route to San Francisco or Los Angeles from Portland and Seattle or would take. The first few block on “J” street might determine if the visitor wants to see more of the city. Sacramento often forgets ,”K” is just one street in Sacramento. Millions has been spent on Kay Street To get to K street one has to exit onto J Street. Sacramento is a wonderful and beautiful city filled with amazing trees and historic areas. The midtown area is vibrant day and night with something for everyone. One could spend a full day touring our wonderful museums. Unfortunately, the first time visitors have to drive through a seedy and scary mess to get to get to the beauty. January 20, 2017, the nation was stunned. Donald Trump, a man accused by several women of sexual misconduct was now President of the United States . The signs a year ago was about women’s health, the uncertainty about the ACA, and anger and frustration about the new president.